If you have old ceramic tile in your bathroom, it may look outdated or out of style. Modernizing your bathroom used to mean spending hundreds to thousands of dollars ripping out the old tile and then re-installing new tile of a different color. That is not the case anymore -- you can paint your ceramic tile shower walls to bring a whole new look to your bathroom. With the proper preparations, you will enjoy a finish that lasts for years. Clean the ceramic tile thoroughly with a mildly abrasive bathroom cleaner. Sand the surface lightly to roughen it up. Paint sticks much better to a slightly rough surface. Mask off the area around the ceramic tile with masking tape. Press firmly to adhere the tape to the wall surface. Place drop cloths on the floor around the tiled area to protect the flooring. You may also place one in the shower area to protect the tub and shower. Prime the ceramic tile with an alcohol-based primer. Use primers like this in areas exposed to frequent moisture. Allow the primer to dry for the recommended time listed on the can. 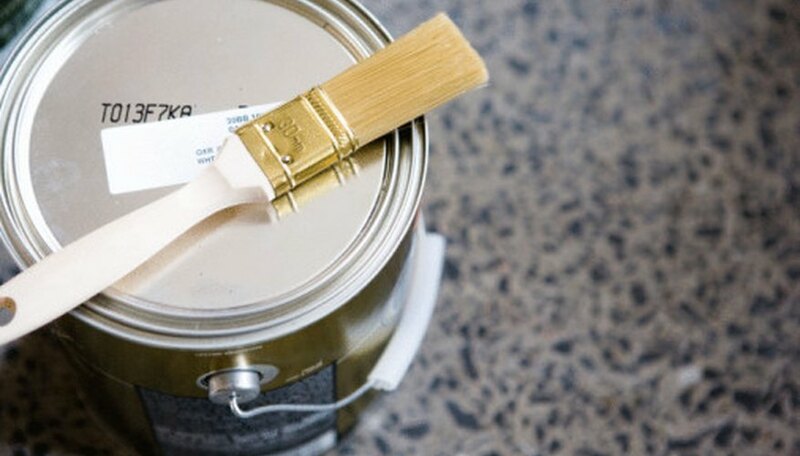 Paint the ceramic tile with two coats of paint that contains an alkyd or oil-based finish. Use a brush to cut in around the masked-off areas and to paint the hard-to-reach areas. Use a smooth roller to roll the rest of the surface. Allow the paint to cure for 2 weeks. Use caution during this time to prevent scuffing or otherwise wrecking the newly painted tile. Ceramic tile that you haven't thoroughly cleaned or sanded will not accept paint properly. The paint will not have a clean surface to adhere to and may eventually peel off the tile. This will lead to a much larger project down the road.